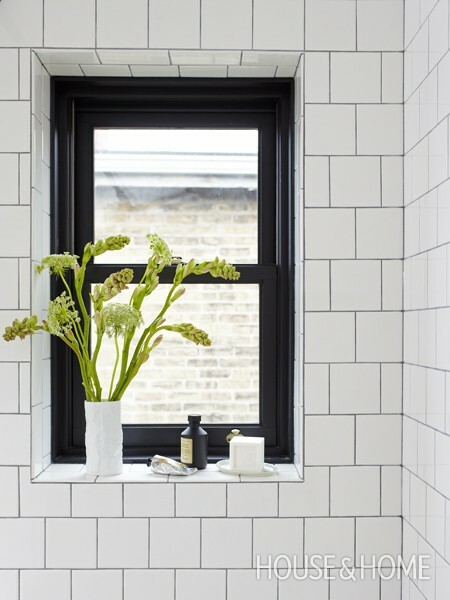 I think one great approach to a bathroom reno is using a black and white color scheme for all of the “fixed” surfaces, such as tile, countertops, tub surrounds, cabinetry, sink and tub, etc. 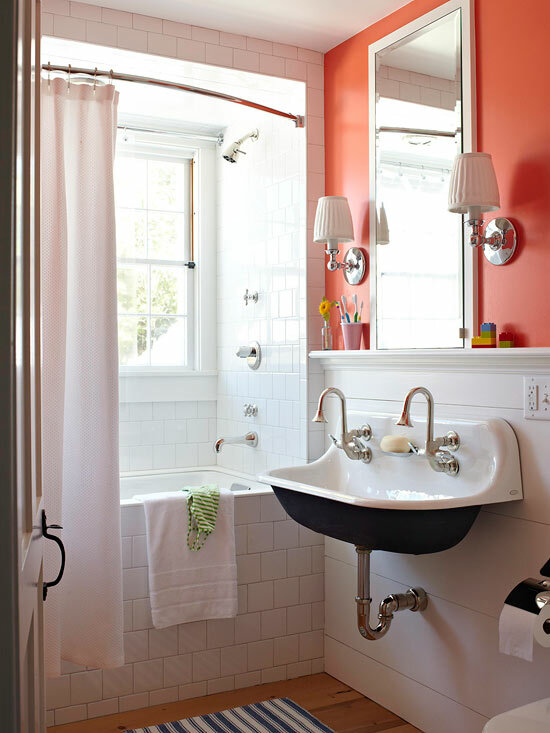 Then, layer in color with elements that are easier and more likely to change during that 15-year life span: (non-tiled) walls, ceilings and mouldings, towels, shower curtain, art and decorative accessories. 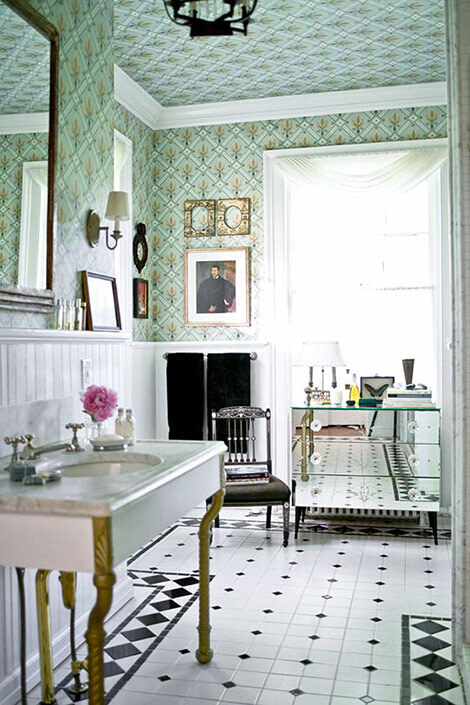 Not only is a black and white palette timeless and flexible, but it can help you pull off an expensive look for less money. 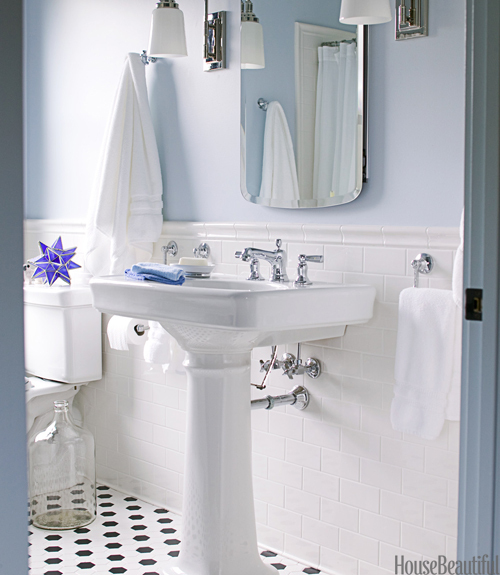 I also happen to think this is the way to go for kids bathrooms, since it can be made to look “cute” now, and fun and sophisticated later. 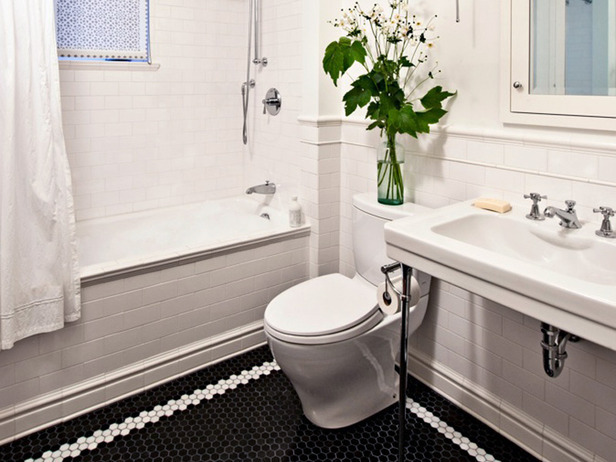 Not to mention, black and white is completely gender-neutral. 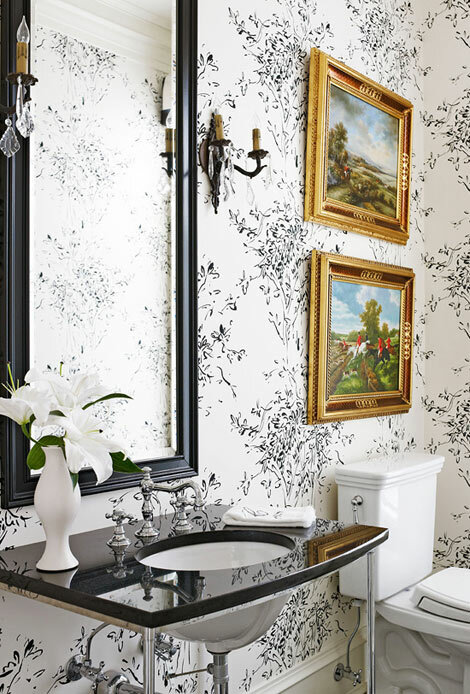 Here’s some more black and white bathroom inspiration. 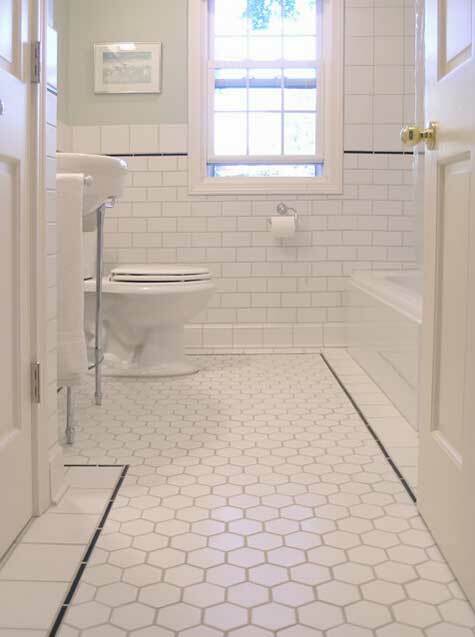 You’ll notice that many of these examples use plain old, inexpensive porcelain tiles in basic shapes, laid in simple, yet beautiful patterns, some with contrasting borders. 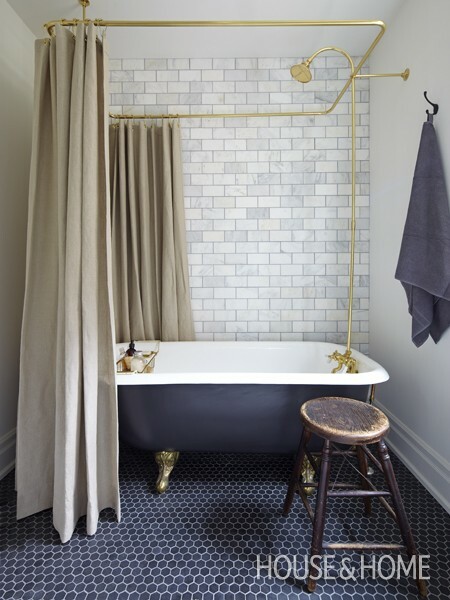 And a little black paint applied to a freestanding tub or wall-mount sink creates a stunning, yet un-fussy look. 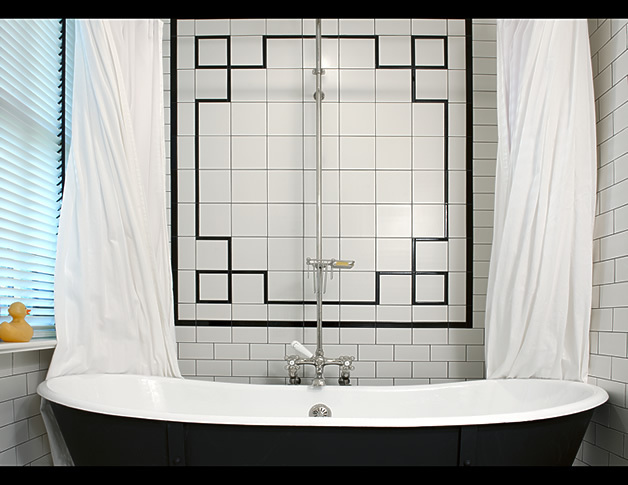 What’s your favorite black and white bath?